Together with CeFPro, The Center for Financial Professionals, Aravo conducted a global survey to help benchmark some of the key questions that can indicate the status and health of your third party risk/ supplier risk/ vendor risk program. The results show that TPRM teams recognize that they face significant implementation challenges, and that they worry about their ability to keep up with the velocity of change. Yet, they are also optimistic about their ability to deliver true value to the business as they build out their TPRM programs – through having a comprehensive source of data, improved analytics, and better reporting about their third parties. 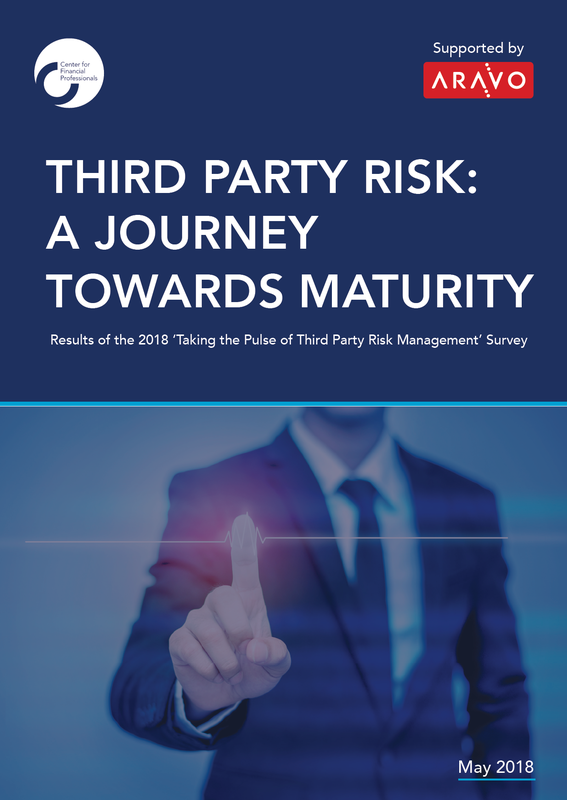 The survey is intended to be a voice for practitioners, providing insight into the practical reality and challenges facing third party risk teams in this rapidly evolving discipline. We would like to extend our sincere thanks to all those that participated. The findings are intended to help firms develop their road-map to maturity, and help with planning, resourcing and direction.